(If you use Firefox on a Mac, which won’t play mp4 videos! Change to any other browser, like Safari, and you’ll see it clearly. in my new online course. This is an extremely important update of positive psychology. We are going beyond happiness and focusing on flourishing and thriving. Learn how can you be both happier and more successful. Learn what’s new and exciting in positive psychology. This is a class, giving you seven hours of CE credits, if you are a licensed mental health professional. giving yourself the greatest gift, a sense of being happier, more energized, and more effective. What do people think about my teaching? You already have some idea. Why is it “Beyond Happiness?” Isn’t happiness enough? to help others move into a very high functioning life. Real, deep happiness comes when we set goals, achieve them, and share with others. This course is based on new research into techniques of motivation, learning, and goal achievement. Science keeps moving forward, and few of us have the kind of time to keep up on new developments. I am going to start this class very soon now, within 10 days. So I encourage you to act today. That means I will close the class enrollment at the end of July. I’ll start the class August 2. Of course, if you sign up now, you can get started now. to make your life – and the lives of clients – more robust and successful. so sign up now and don’t regret missing this great class! One topic we focus on in this class is Mindsets. Mindsets are not at all like personality characteristics. If you understand them, you can fairly easily shift between one and another. that I believe every therapist, and every coach, and every person interested in personal growth should have. turns their whole lives in a much more positive direction. And, it is not hard work, like trying to change personality features. It is fairly easy to shift. Don’t miss that part of this course. before you take this class? You might protest: “I haven’t taken your class on positive psychology!” No worries! that part of our discussion can be skipped. You can move right ahead into how to assess and measure flourishing and thriving. So you can’t lose. Review the basic info about positive psychology or move ahead into measurement of flourishing. 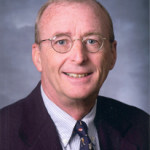 Many years ago, Mike Lambert, Ph.D. published a series of studies. He found that one way therapists handicap themselves is to fail to use simple measures. their outcomes improve by about 30%. since they are improving and quickly get to a “fully recovered” state. Those who aren’t improving get more sessions and their outcomes are also better. (Mike actually was first author on a study using my own data. I showed 47% of my clients were fully recovered by the third session! He said those results caused an uproar every time he showed them at meetings. Researchers were upset to think a therapist could get such powerful results. measures that the authors have essentially put into “public domain” or rather they allow us to use without royalties of any kind. that will move us to a highly flourishing life. Of course, if you are a therapist, you want exactly that kind of success with your clients, too. We’ll talk about the single best predictor of success in life, and how to measure it. to master and learn new material. We’ll talk about finding a fulfilling and flourishing life. We’ll talk about the dangers and opportunities at work. All of this, and continuing education credits too? YES, CE too. (And, this class is about 1/2 the price of live classes! plus the discussion section where you post your reactions and questions. Note: These are not “home study” credits which some states allow. Home study means you credit yourself for reading books or articles relevant to your profession. You can and should claim that “home study” component of Continuing Education. But this course is not that category. but you can do it at home, on your own time, and, if you want, in your pajamas! You get the class in 5 powerful installments. You get the first installment today, as soon as you sign up, and if you like it, one week later you’ll get the rest of the classes. If you want to cancel, it is completely easy, no questions asked. Just cancel before the end of the first week, and your money is refunded, no explanation needed. Money Back Guarantee! How can you go wrong? But the door is closing soon. I want to get the class underway. I want to put together some surprise extras that only the class members will receive. And that means I have to devote all my attention to the class itself. So very soon, this door closes. I don’t know when I will open it again. If this isn’t a good time, no worry. Sign up today, anyway. You have a year to finish the course and get the CE hours you might need for your license. So make the choice for being up to date on positive psychology. I plan to offer some live on-line videos and chats, depending on your questions and interests. So this is a real, interactive class, engaged and focused on your needs. and watch / listen when the time is more convenient. Perhaps you haven’t taken a class from me. One talent I certainly have is to make things clear and easy to understand. How about more fan comments? I want you signed up, benefiting from this new class. Perhaps I will eventually teach this info in live, on-the-road classes, but I can’t say that for sure. Even if I do, it will be $187, not the low price of $97.00. to new skills and insights that will help you both personally and professionally. that I want everyone to have a chance at it. Sign up today.